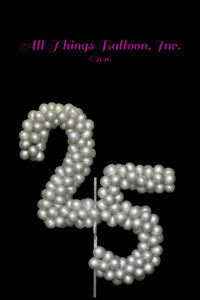 Want to make a HUGE impact for your next event? 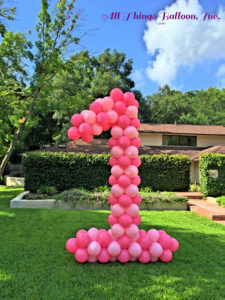 Celebrating a special birthday? Maybe your company is marking a special milestone. 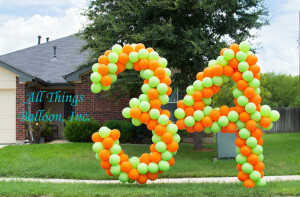 Whatever your occasion, these 9′ tall yard numbers will let the whole neighborhood know something really special is happening at your place! 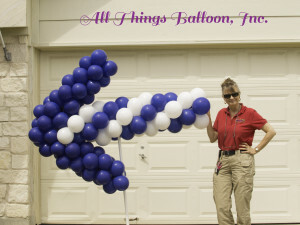 You can always leave a few helium balloons tied to the mailbox — or you can have the really cool balloon directional arrows! About 5′ long, these directional arrows will point the way to your event. 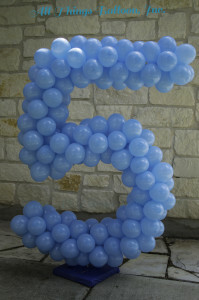 Yard Numbers and Directional Arrows can be built with your event colors, Company colors, High School/College colors. Call us at (210) 774-5413 for color availability; or to discuss other ways we can enhance your next event! 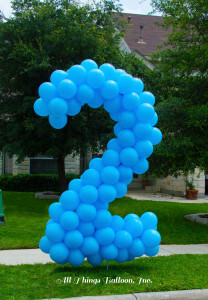 Lawn Number “2” Lawn Numbers – each is about 9′ tall.